Should the government allow scientists to create new super-viruses? Let's suppose a bunch of scientists proposed to take one of the most infectious human viruses—influenza, say—and turn it into a super-bug. Is this a good idea? Or to put it another way: should scientists be artificially mutating viruses so that they have the potential to become a worldwide pandemic? Right about now you might be asking: is anyone actually doing this, and if so, what on earth are they thinking? And yet, several of the world's most prominent influenza researchers have been engaged in exactly this enterprise for several years now. They call their work "gain of function" experiments, because they manipulating viruses to give them new (and very dangerous) functions. I wrote about this last year, after a group led by Ron Fouchier at Erasmus Medical Center in the Netherlands and Yoshihiro Kawaoka of the University of Wisconsin announced, in a letter to Nature, that they were going to create a new strain of H7N9 influenza virus that had the potential to turn into a human pandemic. Sure enough, just a few months later, Fouchier published results showing they had done just that, although they reported that their newly engineered strain had only "limited" transmissibility between ferrets (the animal they used for all their experiments). Fouchier and Kawaoka had already done the same thing with the deadly H5N1 "bird flu" virus, causing a huge outcry among scientists and the public. As reported in Science magazine almost three years ago, Fouchier admitted that his artificially mutated H5N1 was "probably one of the most dangerous viruses you can make." And yet he did it anyway—and then did it again, with H7N9. "Experiments involving the creation of potential pandemic pathogens should be curtailed until there has been a quantitative, objective and credible assessment of the risks, potential benefits, and opportunities for risk mitigation, as well as comparison against safer experimental approaches." Just two days ago, the U.S. government responded, announcing that it was going to take a serious look at whether creating these superbugs is a good idea. 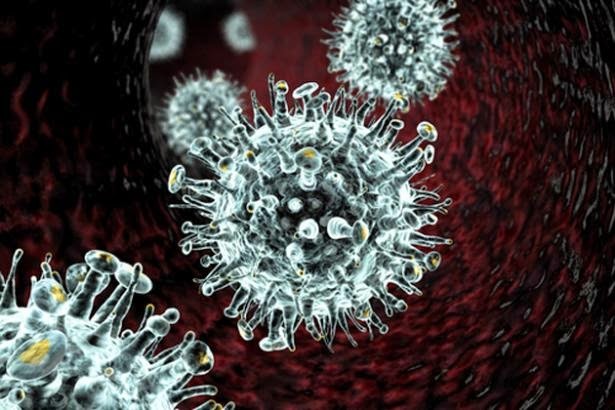 The Office of Science and Technology Policy (OSTP) is creating two committees to "assess the potential risks and benefits" of these experiments, particularly those involving the influenza, SARS, and MERS viruses. Until the committees come up with recommendations, the government is halting any new funding for these experiments and asking for a voluntary "pause" on existing work. Not surprisingly, Fouchier and his colleagues have argued that their work has benefits; that it has "contributed to our understanding of host adaptation by influenza viruses, the development of vaccines and therapeutics, and improved surveillance." Yet these arguments are tenuous at best. Fouchier and company have failed to show that the mutations they found in ferret experiments are likely to occur in the natural course of human outbreaks, which means that using their viruses for vaccine development would be a huge mistake. And to claim that creating super-viruses in the lab will lead to "improved surveillance" is, frankly, laughable. Surveillance means getting out in the field and collecting samples from sick people. Gain-of-function laboratory experiments have basically nothing to do with surveillance. Harvard's Marc Lipitsch has been one of the prominent voices arguing against this line of research, writing just last week that the scientific benefits of these experiments are very limited, for reasons detailed in his article. Lipitsch is also one of the founding members of the Cambridge Working Group. According to the announcement from The White House, the first committee to evaluate the merit of these experiments will meet in just a few days, on 22 October. Meetings will continue throughout the winter, with recommendations expected sometime in the spring of 2015. We have enough problems with influenza, and now with Ebola too, without scientists creating incredibly deadly new viruses that might accidentally escape their labs. Let's hope that the OSTP does the right thing and shuts down these experiments permanently. 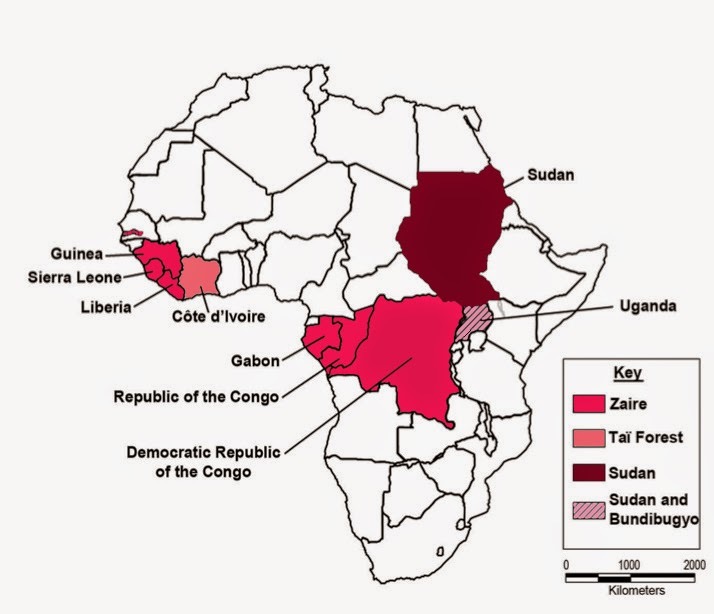 Countries in which Ebola virus has appeared in the past. I never thought I’d find myself agreeing with Louisiana governor Bobby Jindal. But this week, Governor Jindal called for a ban on air travel to the U.S. from the countries where the epidemic is present. He’s right: a flight ban is the best way to keep Ebola from spreading. In the world of infectious diseases, we often hear the phrase that the next epidemic is “one flight away” from the U.S. That’s true—but we don’t usually know where that flight will originate, so we can’t simply ban all flights to the U.S. from everywhere. With Ebola, though, we know the source: the epidemic is confined to Liberia, Sierra Leone, and Guinea. As the Ebola crisis has grown in West Africa, the need to stop its spread has grown ever more urgent. The number of cases is now over 20,000, and the CDC estimates that by January, Liberia and Sierra Leone will have 1.4 million people with Ebola infections. These are frightening numbers. The Ebola virus has no treatment and no cure, although some promising research is under way (as I’ve written about previously). According to the WHO, the Ebola fatality rate is 50%. This makes it one of the deadliest diseases known to affect humans. And now, alarmingly, Ebola has appeared in the U.S., in an airplane passenger who traveled from Liberia to Texas. This one individual has exposed as many as 114 others, all of whom are now being followed by the CDC. CDC Director Frieden also revealed yesterday that in the month of September, screening at airports in African countries has turned away 77 people who had signs of possible Ebola infection, including 17 in the month of September. Although Frieden used this example to illustrate the effectiveness of CDC’s screening program, it also shows that sick people are trying to board planes to the U.S. As the outbreak grows, it will grow increasingly difficult to keep all Ebola-infected passengers—who don't show signs of infection for several days—off those planes. Director Frieden is correct that we can stop outbreaks of Ebola here, because we live in a modern country with good infection control systems. But prevention is better than control. So much as I hate to admit it, Bobby Jindal is right: we need a travel ban if we want to keep the Ebola virus out of the U.S.